In Nepali Dhaka attire world Tehrathume Dhaka Collection is a brand which produces traditional to modern Dhaka attires. 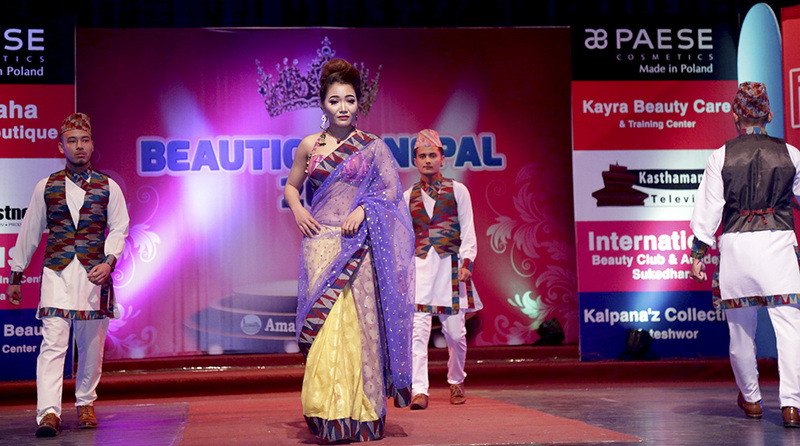 Few days back there was a fashion show named Fashion Show Nepal in Nachghar Complex Jamal. Models walk the ramp in dresses prepared by Tehrathume Dhaka Collection. Show was choreographed by famous RJ/Model/Choreoghrapher Kala Subba and Himani Subba.